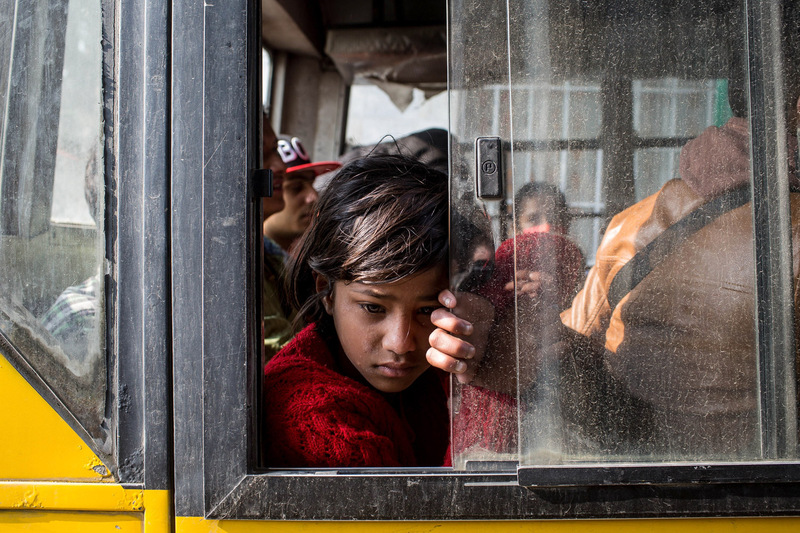 KATHMANDU, NEPAL - APRIL 29: A young girl waits on board a bus to be evacuated from the city center on April 29, 2015 in Kathmandu, Nepal. A major 7.8 earthquake hit Kathmandu mid-day on Saturday, and was followed by multiple aftershocks that triggered avalanches on Mt. Everest that buried mountain climbers in their base camps. Many houses, buildings and temples in the capital were destroyed during the earthquake, leaving over 4600 dead and many more trapped under the debris as emergency rescue workers attempt to clear debris and find survivors. Regular aftershocks have hampered recovery missions as locals, officials and aid workers attempt to recover bodies from the rubble.